If you’re a garden lover like I am you’ll be thrilled to know there are many gardens you can tour that are within a short drive from the many Myrtle Beach Resorts we have available. With its rich agricultural heritage it’s no wonder that South Carolina is home to dozens of rich and varied gardens. From swamplands to manicured topiaries, the gardens of South Carolina offer visitors the opportunity to experience all kinds of botanical beauty. Here are some glorious gardens that you should take the time to explore. I’ll start with the ones closest to our Myrtle Beach Resorts. Located in the heart of a 9,100 acre preserve along the coast, Brookgreen Gardens is structured around over 1,200 sculptural works by 350 different artists. 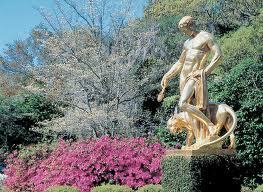 This scenic attraction is one of America’s largest collections of sculpture that happens to be in a garden setting. There are 10 different outdoor garden rooms accented with ponds, fountains and sculptural pieces. This 295-acre public garden specializes in unique nature-based sculptures. Each of these sculptures showcases the beauty of plant life in its design, blending nature and art in a beautiful symbiosis. There are a variety of niche gardens which include the butterfly garden, the wildflower meadow, and the 70 acre arboretum. Visitors can stop in at the Fran Hansen Discovery Center to enjoy the work of South Carolinian native, Elizabeth Belser Fuller. Also available for discovery are the Bob Campbell Geology Museum and the historic Hanover House. Originally a rice plantation, the Audubon Swamp Garden features 60 acres of swampland, traversed by boardwalks and bridges. Hundreds of species of flora and fauna live in the swamp garden. Visitors can walk a self-guided trail or take a trip through the rice lands on the 45 minute boat tour. 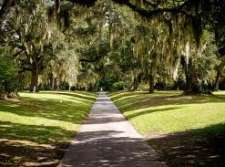 There are many other gardens to explore throughout South Carolina. Take your time and explore this beautiful state to its fullest with day trips from one of our many conveniently located Myrtle Beach Resorts.